Swedish poet Tomas Tranströmer won the Nobel Prize for Literature this morning. 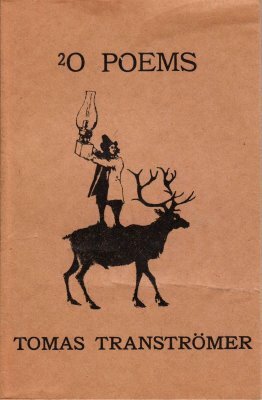 I'm not a poetry buff, so his work is entirely new to me, but I did find online a lovely cover to an old poetry collection that I thought I'd share. It's always interesting when these awards come out, as I'm always reminded how worldly and non-American the Nobel is. I'll try to check on Tranströmer next time I see a good opportunity. Anyone read any of his work? Any advice on where to start?